WASHINGTON – Evan Turner said he and 76ers general manager Sam Hinkie have not spoken regarding the fourth-year forward’s future with the franchise. The Sixers did not exercise the qualifying offer on Turner for next season prior to Thursday’s midnight, league-mandated deadline. The team still has until June 30 to pick up the $8.71 million qualifying offer that would make Turner a restricted free agent and give the Sixers a chance to match another team’s offer, but that seems unlikely. Turner said he’s came to terms with the fact that the Sixers wouldn’t pick up the qualifying offer. 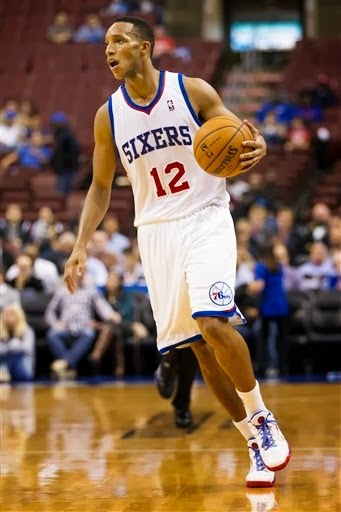 Turner’s future with the Sixers, the team that drafted him second overall in 2010, remains uncertain. He said he didn’t want to guess as to whether he’d be in Philly next season. “I really don’t know, to tell you the truth,” he said. “He (Hinkie) just traded Jrue and Jrue is a walking legend, you know what I’m saying? Even Wilt Chamberlain got traded.